FGV Prodata is the IT arm of Felda Global Ventures Holdings Berhad (FGV), Malaysia’s leading global agribusiness and the world’s largest producer of crude palm oil (CPO). Our vision and mission to achieve our goals and satisfy our clients. The IMS Policy is to ensure that the quality services satisfy our customers and stakeholders’ needs. Our core values are based on RAPID. Respect for people, Adapt & Innovative, Passion for Customer, Integrity and Dedicated & Teamwork. FGV Prodata Senior Management Team. FGV Chairman and Board of Directors. Our partners in the ICT solutions industries. We enjoy helping companies like yours. Knowing that you’re in control of your business frees up time to focus on doing what you do best; looking after your existing customers and looking out for new ones. FGV Prodata provides a complete enterprise networking system design & consultation services as well as its implementation which also includes WIFI services, Managed Services, and Network Security. Our Managed Services allows organisations to focus on what they do best – their core business – while benefiting from an IT managed service tailored to their business needs. As part of FGV Prodata's core values to adapt, innovate and looking out for new oppurtunities, we have commenced to provide and extensive broadband and WIFI services to underserved areas to boost their socio economic status. In an increasingly competitive global-agribusiness market, maintaining sustainable production efficiency is a competitive advantage. Prodata plantation management solutions are designed to automate plantation operational processes to enhance efficiency, improve control and streamline costs by providing management the actionable insights into operation, production and expenditures easily and quickly. Since 2013, FGV Prodata has been positioned as an innovative broadband solution provider that will deliver the broadband solution based on existing access technology – VDSL, ADSL, Microwave, Fiber Optic, and VSAT. FGV Prodata plantation management solutions are designed to automate plantation operational processes to enhance efficiency, improve control and streamline costs by providing management the actionable insights into operation, production and expenditures easily and quickly. FGV Prodata is dedicated to helping colleges and universities transform in response to an ever-evolving higher education landscape. While every big data solution is intrinsically different, the requirements are largely the same. It needs to ingest high velocity data, store large volumes, and able to extract information from it. Depending on the solution, low latency, performance, and throughput can be key requirements. 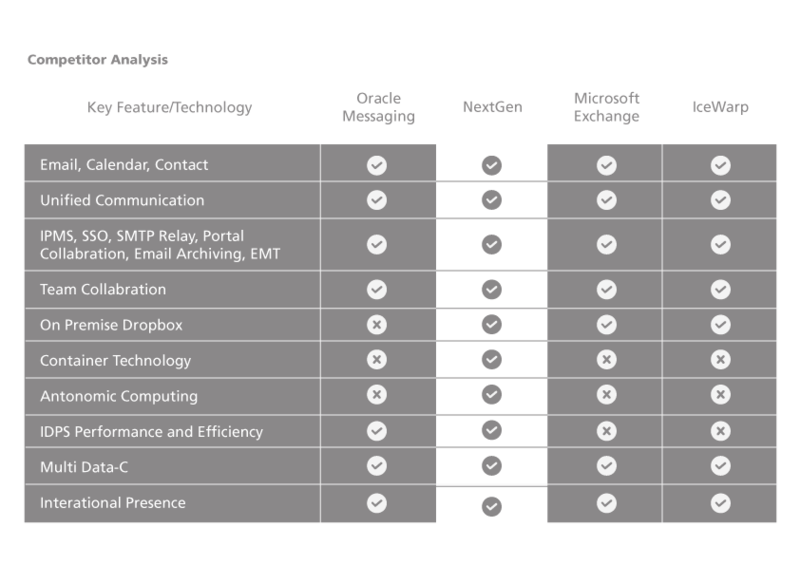 Felda NextGen Email (NextGen) is a Unified Communication and Collaboration services that are centrally managed at Prodata. The service combines channels of communication via e-mail, video, audio conferencing, instant messaging, fax and SMS. POMIS is Palm Oil Mill Integrated System. The system comprises both of a well proven and a state-of-the-art system available in the market for palm oil mills using many proven automation concepts available from various industries. Weighbridge Management System is an industrial weighing software suitable for various related industries. The user-friendly Windows interface helps streamline weighing operations or purchases and sales. eGIS is a GPS-GIS digital works technology that is used to generate 317 Felda’s estates digital maps and connecting it with SLP database. Computerized data management that helps in data management, data alteration, data analysis and data output that related with map data/plan. 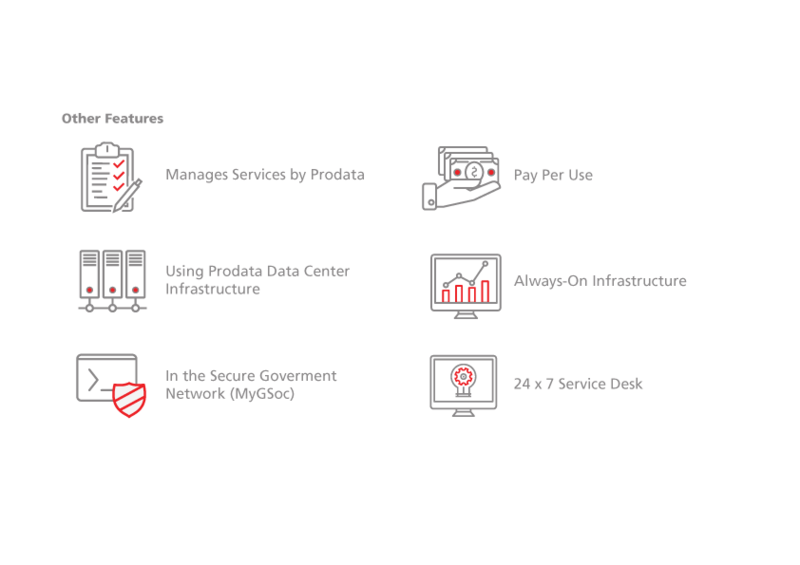 Prodata’s iEMS (Estate Management System) is a web-based plantation management computing solution comprising of 4 prime system (Corporate, Estate, Platform, Lite) that integrates end-to-end plantation process [Field Operations] and Accounting Transaction. ILDS avoid duplication of data entry and minimize manual documents to improve turnaround time for cross companies’ transactions. This will improve the data quality and facilitates timely information sharing across various stakeholders. 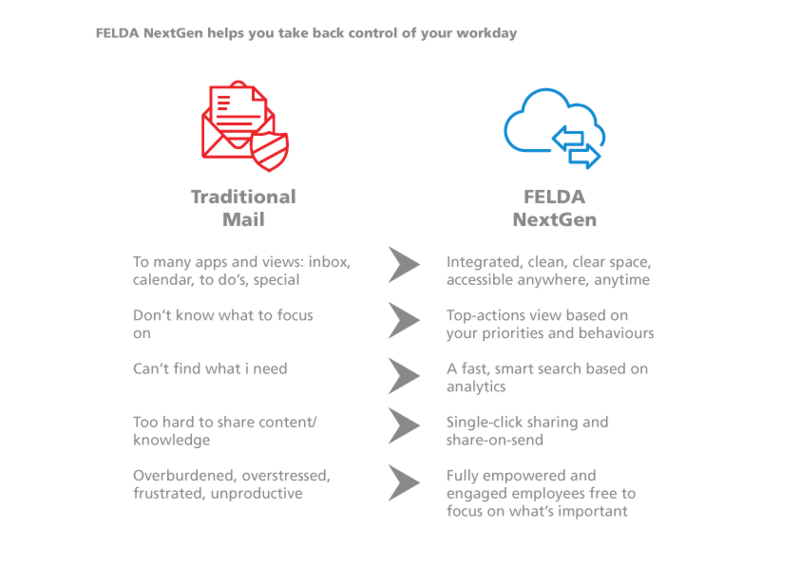 Felda NextGen Email (NextGen) is a Unified Communication and Collaboration services that are centrally managed at Prodata. The service combines channels of communication via e-mail, video, audio conferencing, instant messaging, fax and SMS.In addition to the above, NextGen enables sharing of information through the Collaborative Portal and Felda NextGen portal. NextGen implemented as cost-saving measures through integrated collaborative communications which all Felda group of companies can liaise and undertake projects in communication systems offered by NextGen. • EmailApplication that allows users to communicate with each other via e-mail. • Unified Communication (UC) Allows users to communicate directly through text, voice call, video call and sharing files online. • Portal and Social Media Consisting of NextGen Portal, Collaborative Portal and IPMS. 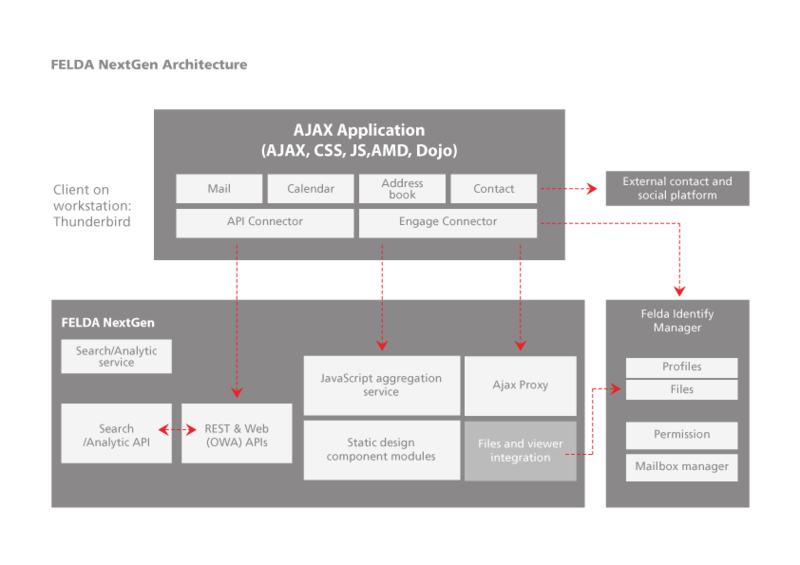 • NextGen is safe to use for which it is fully controlled by Prodata. • NextGen is part of Prodata cloud service system which is placed in the Felda Prodata Data Center using FeldaNet network services. • The security service is fully monitored by the Malaysian Government Security Operations Center (MyGSoc). • Anti-spam and antivirus implemented to filter email content and fend off viruses and malicious code. • ICT management cost savings. • The application of green technology initiatives.